A child jumps across stones in the ruins of Pompei, the city destroyed by Vesuvius, on Tuesday, July 15, 2014. Our neighbor trims the neat hedges surrounding his yard on Saturday, July 5, 2014, in Sarmego. Well, I have finally arrived in Italy and finally have Tyler at my side. This isn't the home stretch, though — we will only be spending a little over a month together until he has to go on a training mission and I will return home for a few more months. However, this time together has been invaluable and it's been so nice being an actual couple living in our actual place together with a sort of hologram of how our future will look. Right now, things are wonderful and stressful and overwhelming and lovely and then exasperating and I’m just adjusting to it all. We have days where we find an amazing bottle of wine and eat bread drenched in olive oil and fresh basil for dinner and then sit in our new poorly-furnished apartment and listen to the Italian neighbor kids play until it gets dark at 9:30, but the nearby stubborn and confused roosters are still crowing. And then we have days where we are met by Army gridlock and bureaucracy and awkward interactions at the store because we don't know Italian and just need someone to tell us where to find a mattress topper to fix our "adequate" government-provided bed and get overwhelmed with a plethora of questions we don't know how to solve or where to go to solve them and so we just lay in our lumpy bed together and laugh or cry or sigh and have another glass of wine (and thank goodness the wine is always good). A man runs across the sand on Tuesday, July 15, 2014, in Positano on the Amalfi Coast. People swim in Stone Beach in the Mediterranean Sea on Sunday, July 6, 2014, in Sorrento. Sometimes I think we're crazy, and then other times I know we're crazy, but I'm just so glad Tyler and I are together. And even with all of the uncertainty with my future career since I left my job and all the insanity just adjusting to a new life, I just didn't realize how much we needed to be in the same place. I forgot about how it felt to just know that I could go home at the end of the day and have a conversation with him about everything going on in my brain, and how we consistently just know how to prop the other up and give the mutual support that we didn't know we needed. It's weird how you can go convince yourself being apart is OK, and then you get reunited and you don't know how you did it for so long, and all of a sudden, being separate for even 5 minutes seems like an eternity. 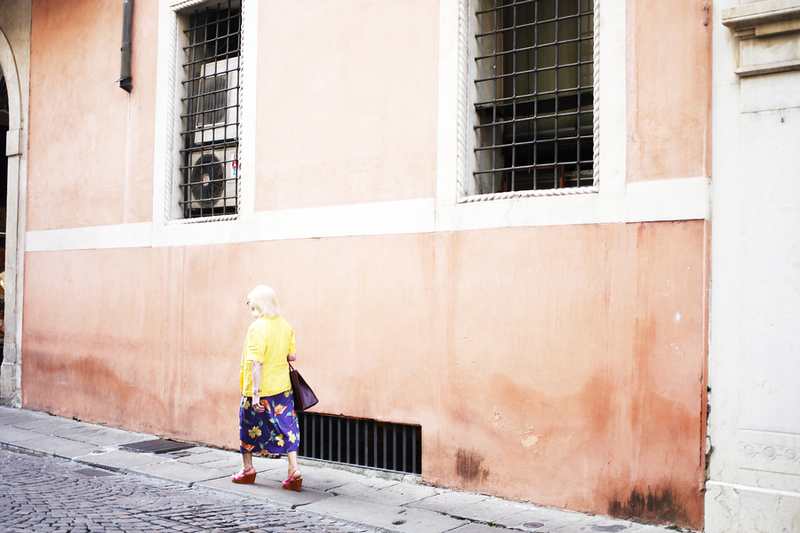 A woman walks through the streets of Vicenza on Friday, June 27 in the city center. Children jump into the Mediterranean Sea at Baia di Puolo on Monday, July 7, 2014, in Sorrento on the Amalfi Coast. Children gather at an ice cream bar on the Baia di Puolo on Monday, July 7, 2014 in Sorrento. So, these pictures may seem like "travel" pictures, but really they're "adjustment" pictures. Because we're not traveling in Italy — this is not our vacation. This is our new life. And these are our first impression to our new reality of living in a foreign country as semi-newlyweds. A boy mops up the floor of a tabacchi as the clerk looks on, laughing, on Wednesday, July 9, 2014, in Amalfi. Living in Italy is amazing and we are so thankful to be here, but we also are doing it as a new military family and doing it as Americans who know so little about so many things. And that poses its own form of unique challenges. But we are young and in love and stupid and excitable and figuring it all out — together, finally, thank God. A man sells produce, including grahita limones, or "big lemons," on the side of the road leading on Tuesday, July 8, 2014, into Amalfi. 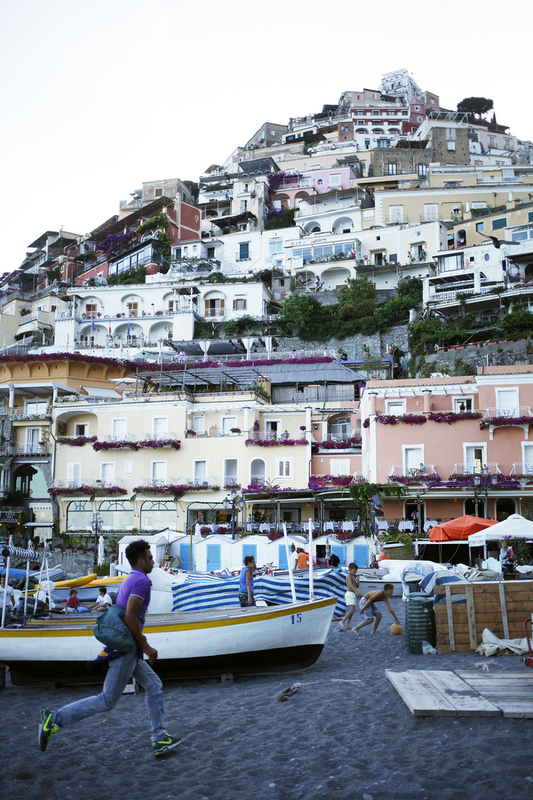 A woman walks on the beach in Minori on Wednesday, July 9, 2014, on the Amalfi Coast. Tyler falls asleep watching "Adventure Time" in his room in the barracks on Del Din on Friday, June 27, 2014, in Vicenza.